Hello. I'm Don Robertson, an American composer an author currently living in Nashville, Tennesse (Music City). Because I have spent my life discovering music and sharing it with others, I consider Musical Kaleidoscope to be my Ultimate Music Education Project. I was born in Denver, Colorado on April 4th, 1942. According to my Baby Book, I was playing rumba and jazz records by age 3. My main love was classical music, however. “Listens to symphonies and operas by the hour,” Mom wrote. 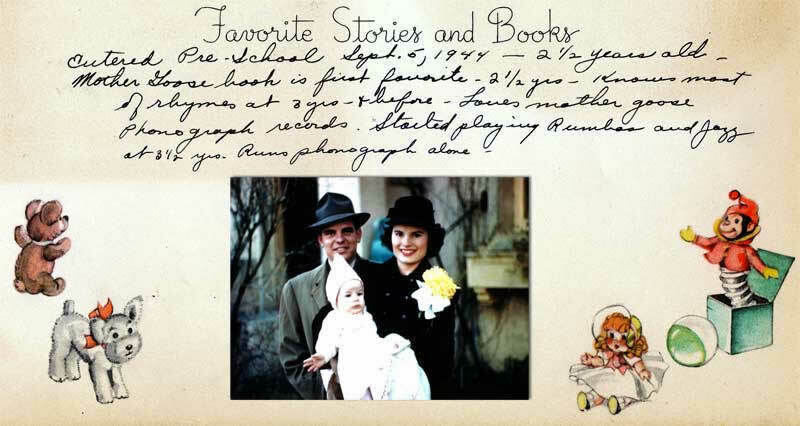 Because of my unusual interest in music, in February, 1946, my mother took me to the famous symphony conductor Antonia Brico who agreed to teach me. Dr. Brico told Mom that I would be a great composer someday. That summer, Mom took this photo of me and Dr. Brico for Dr. Brico to take to Finland to give to her friend Jean Sibelius, the Finnish composer. She was going there to conduct the Helsinki Symphony Orchestra. Meanwhile, Dad, convinced that becoming a child prodigy would ruin my life forever, forbade me to return to Dr. Brico for lessons. The damage had already been done, however: Dr. Brico had already gotten me started! 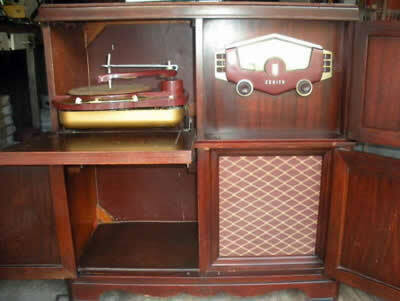 Mom and Dad had a big Zenith phonograph that played 78-rpm records. Because I listened to records all day long, it was soon moved into my bedroom. One day, Mom discovered that when I played my records, if her radio was tuned to a certain frequency, she could also hear them on her radio in the master bedroom. I had no idea why or how this happened, but it did. We then discovered that we could hear the music on other radios in the house. I was elated to find that not only could I play music for myself, but for Mom as well, and I began to develop the idea that the Zenith was a small radio station that broadcast my records throughout the house. That's when the idea of my having a radio show began. 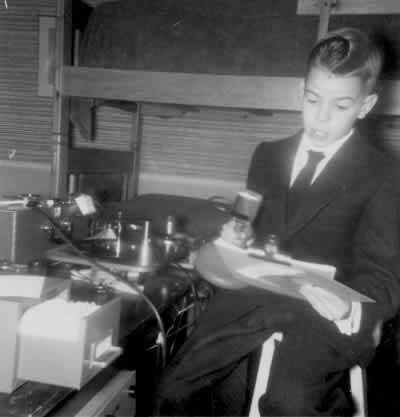 By age nine I had rigged up my own homemade radio station in my bedroom, interconnecting the two record players that I owned by that time, the Eicor tape recorder that Dad had given me in 1950, and a microphone. I strung wires from my bedroom to the homes of my neighborhood friends using the telephone poles in our yards. I called my radio station “KDMC Radio.” My parents were shocked at the apparent dismembering of my "formerly good" equipment, and they were terrified that I would set the house on fire. Soon, my childhood friend Rob Wilfley joined my interest in operating a small radio station. 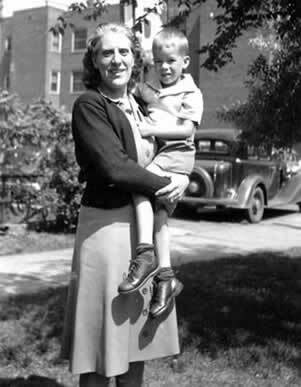 His father built him a low-power AM radio transmitter from drawings and instructions in an article that he had found in Popular Science magazine. This device transmitted a signal over an area of several blocks. Rob's station was called KROB, and together we formed a network called the "Western Broadcasting System." I figured that I could build my own transmitter and gave the list of electronic parts from the magazine to Mom as my only request for Christmas, then after Christmas, we went shopping for parts. I attempted to build the transmitter myself, but I couldn't’t get it to work. Mom and I finally took it to a technician to complete. I needed an antenna to make my transmitter work, and so I climbed onto the roof of our two-story house and strung a wire. After Dad found out that I had been walking perilously on our rooftop, he called a carpenter to build a real antenna for me. Soon I was broadcasting to our neighborhood. But alas, one evening lightening struck my antenna and burned out my transmitter. 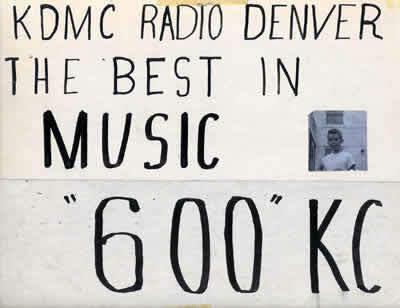 That was the end of KDMC Radio. 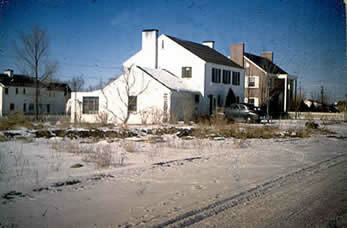 This photo of our house was taken about 1949. The white house behind us belonged to the Walter Schlegels and the red-brick house next door was the home of the Calvert family. I could get to the roof of our house by first climbing to the top of the garage. 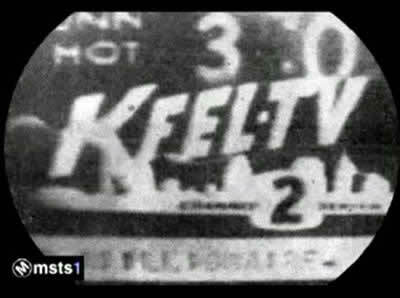 In 1952, Denver got its first TV station: KFEL-TV. I don't remember how I obtained permission to do so, but after school, Mom would drop me off at the KFEL-TV studio and I just hung out there for hours, watching live TV broadcasts being made. All the on-air and off-air people at the station seemed to like me and let me sit quietly behind the cameras while live television was underway. 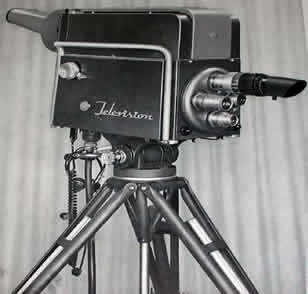 I used to bring home advertising props and black and white slides that had been used for Denver's first TV commercials. In 1954, my neighbor, Mr. James Fresques, telephoned to tell me that his friend Paco Sanchez had invited me to do a weekly half-hour program on his radio station – KFSC Radio – Denver's only Mexican-American station. Called "Tune Tunes," my show lasted for about six months. I have occupied my life with music, and my love of music is epitomized in the collection of recordings that I have gathered along the way. Always in the back of my mind was the thought that I would someday produce a radio show, from which I could share my musical discoveries. 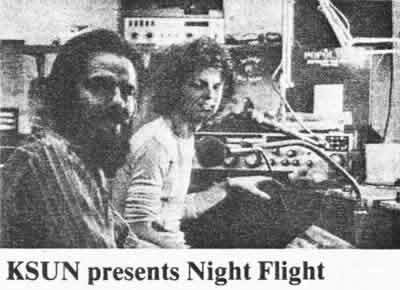 Finally in 1980, when I was living in Santa Rosa, California, I co-produced a radio show called Night Flight, broadcast on KSUN at Sonoma State College. It was on this show that I first experimented with the musical kaleidoscope idea – bridging the gap between musical cultures and eras. This show was on the air for about six months. I continued to collect music over the coming years, as I always planned to begin broadcasting again. In January 1997, Mary Ellen Bickford and I conceived of the name “Musical Kaleidoscope” for the still-planned radio show. However, with the advent of internet technology, Musical Kaleidoscope grew beyond the scope of "radio" and into a full-fledged internet project.